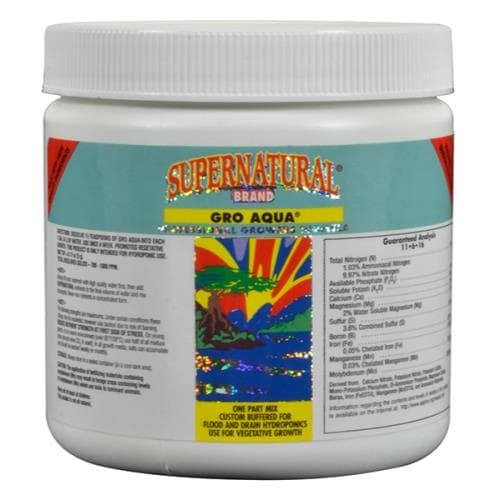 Used during the vegetative stage in hydroponics to promote healthy plant growth, Gro Aqua® contains essential macro and micro elements needed for proper plant development. Fill your mixing container with 1 GAL (4 L) of water. 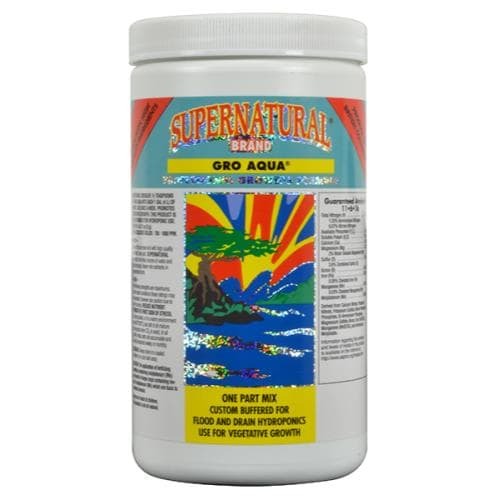 For the vegetative stage, mix 11⁄2 TSP (7.5 ml) of Gro Aqua® per 1 GAL (4 L) of water. Stir thoroughly until powder has dissolved completely. Adjust nutrient strength according to the growth rate and size of plant (in environments above 85°F (29°C) use only 1⁄2 TSP (2.5 ml) per 1 GAL (4 L) of water). Top feed or flood once a day, drip feed twice a day. Keep the growth medium moist. Flush with water once every 7th day for the duration of the 4 week feeding program. At the end of the 4 week feeding program, flush with Super Leach®.